Morgan Hill Teacher Charged With Spiking Sippy Cups With Sleeping Pills Pleads "No Contest"
A Morgan Hill preschool teacher charged with spiking toddlers' sippy cups with sleeping pills entered a "no contest" plea, prosecutors said on Friday, reducing her original 10 charges down to five. Deborah Gratz, 59, of Hollister is expected to be sentenced on July 5, and faces a jail sentence on five misdemeanor courts. "No contest" has the same effect as a guilty plea. Deputy District Attorney Summerle Davis had originally charged Gratz with five counts of attempted child endangerment and five counts of assault. In a statement, Davis said that this case was about parental "betrayal." 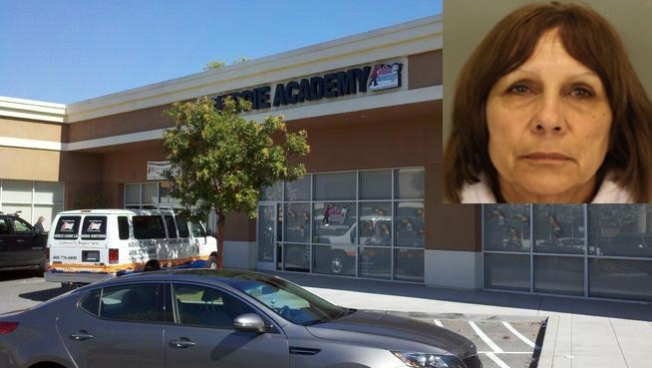 Kiddie Academy in Morgan Hill held a meeting on Wednesday after a teacher was arrested for putting Sominex in the toddlers' drinks. Parents were not happy. Arturo Santiago reports. Gratz was released from jail after she was arrested March 11 on her own recognizance following her arrest on March 11. She has declined media interviews. Gratz supervised 10 children at the Kiddie Academy Childcare Facility on Monterey Road, where she has since been fired. Prosecutors said that on that day in question, the cups were confiscated before any of the children drank from them. Teachers, prosecutors said, found residue in five of the cups. The sleeping aid, Sominex, is not supposed to be given to children younger than 12.